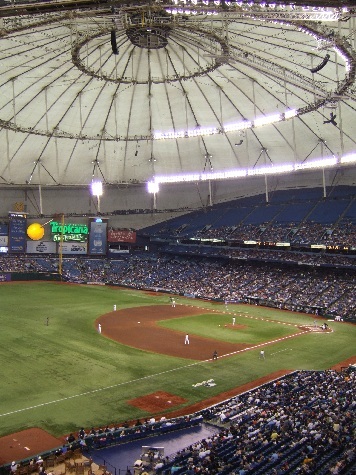 Located just a few blocks from downtown St. Petersburg and a short drive from Tampa, Tropicana Field is the only dome stadium in baseball. 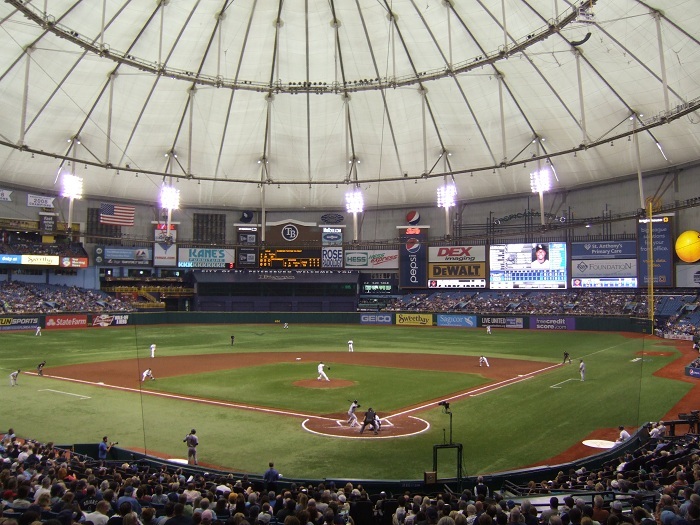 Nearly a decade after its completion Tampa Bay was awarded a baseball team to play at Tropicana Field in 1998. 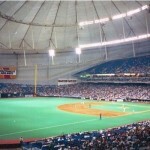 The quest to build a stadium in the city began in the mid 1980s as city official sought to attract a MLB team (Chicago, San Francisco, Seattle) to the area. 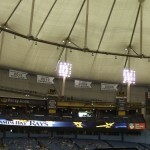 This attempt was unsuccessful. 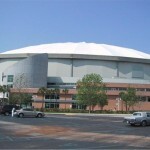 Although the stadium did not have a baseball tenant it was used for basketball, hockey and many other events. 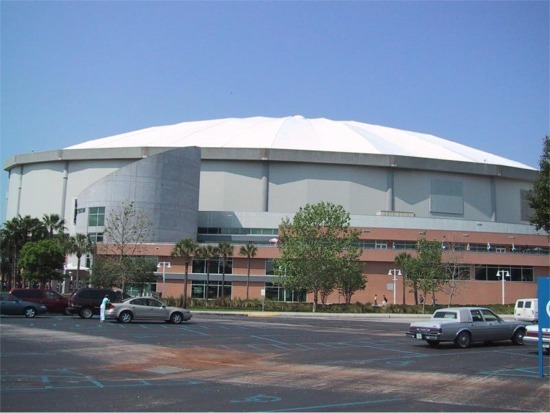 Finally in 1995 Major League Baseball awarded the city a franchise. 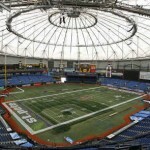 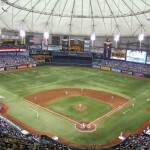 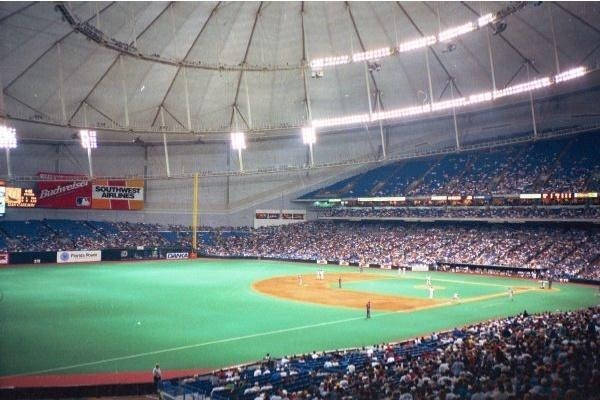 Named the Tampa Bay Devil Rays, the team would begin playing at the dome in 1998. 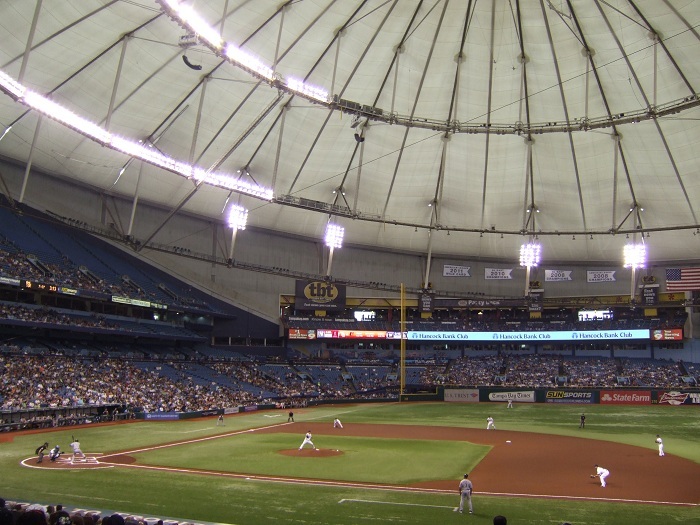 Although the stadium had originally been built for baseball, the organization decided to renovate the stadium to make it more like a ballpark. 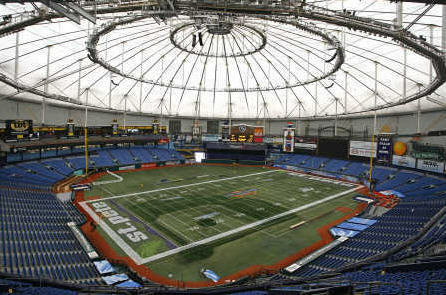 It was the last stadium built with a dome and looks similar to a cookie cutter stadium. 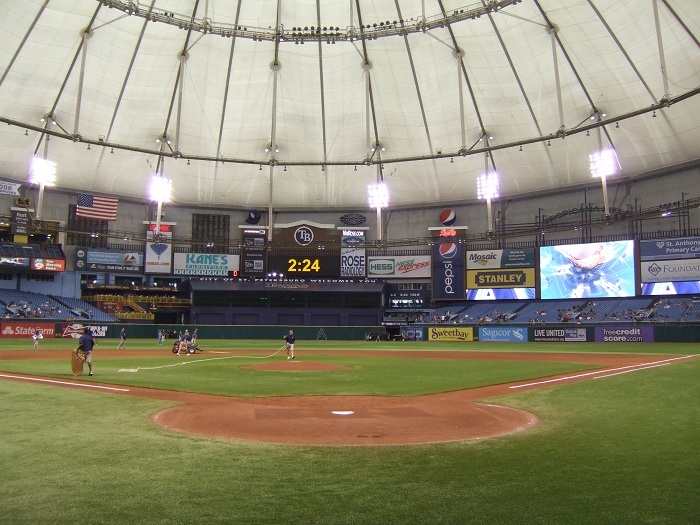 The stadium was closed for 17 months while it was renovated. 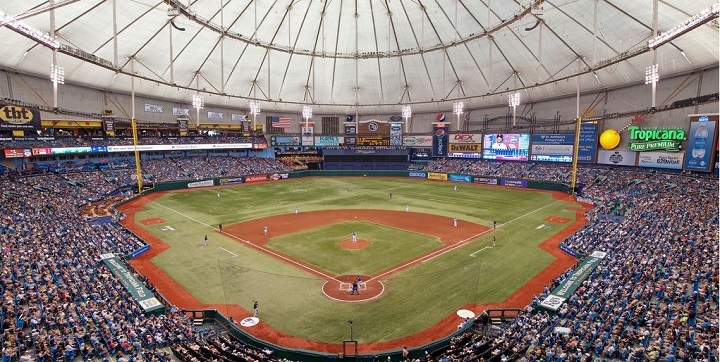 Part of the $85 million renovations included wider concourses, installation of Astroturf, clubhouses, dugouts, additional luxury suites, restrooms, elevators, escalators and administrative offices. 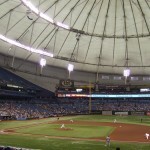 The seating capacity was reduced from 48,000 to 45,000. 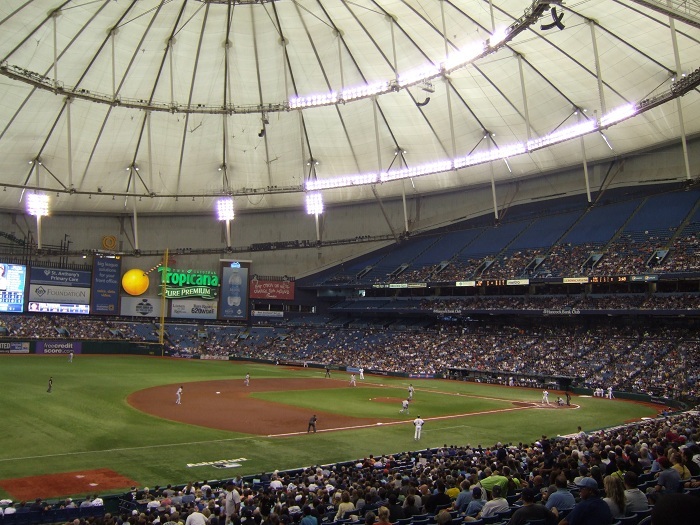 In 1996, the stadium was renamed Tropicana Field after Tropicana Juice purchased the naming rights. 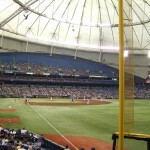 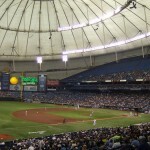 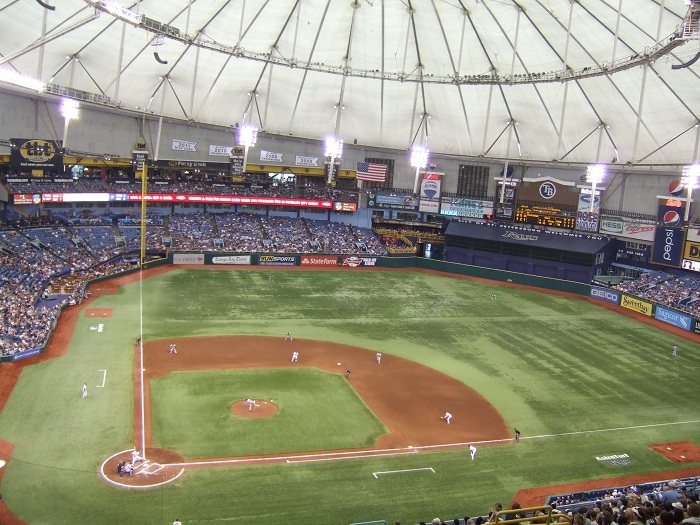 The Tampa Bay Devil Rays played their first game on March 31, 1998 when fans filled Tropicana Field to see professional baseball for the first time. 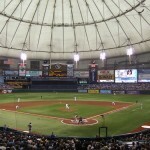 Fans enter the main entrance of Tropicana Field through a giant rotunda reminiscent of Brooklyn’s Ebbets Field. 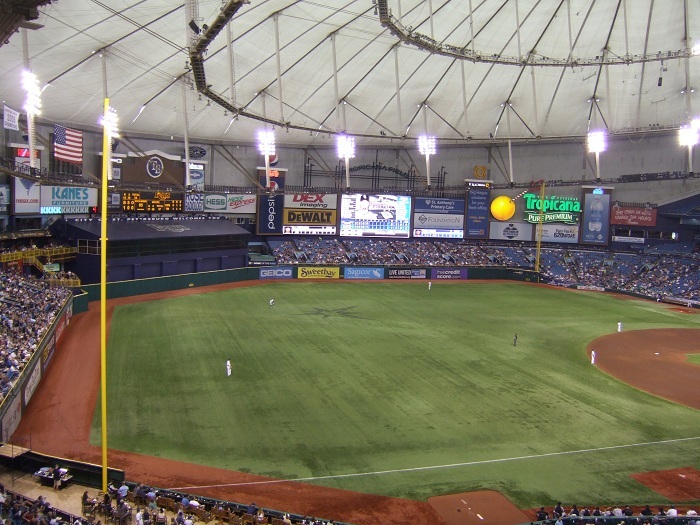 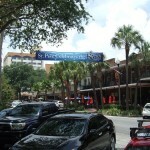 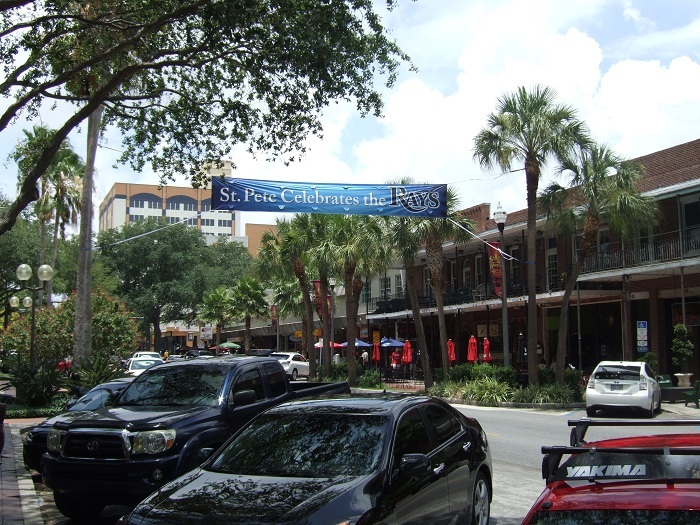 Once inside the stadium, visitors find themselves in a location known as Centerfield Street. 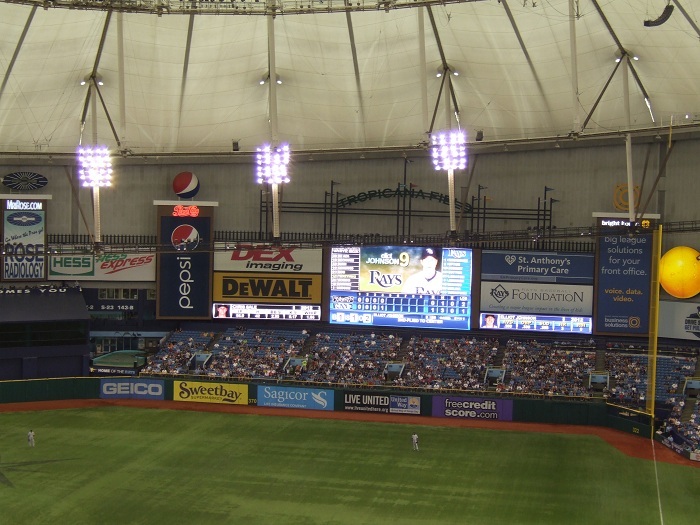 Here is the Center Field Street Brewhouse, the Rays team store, the Capitan Morgan Deck and the Hitters Hall-of-Fame featuring artifacts of some of the greatest hitters in baseball. 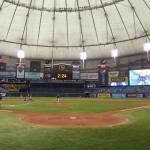 One of the most unique features at Tropicana Field is the Rays Touch Tank, a 35-foot, 10,000 gallon tank, where fans can touch rays. 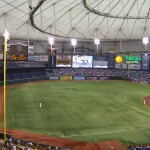 It is located just beyond the fence in right-center field. 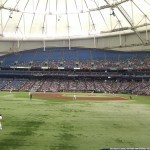 Upon entering the field area, fans view a sea of blue seats. 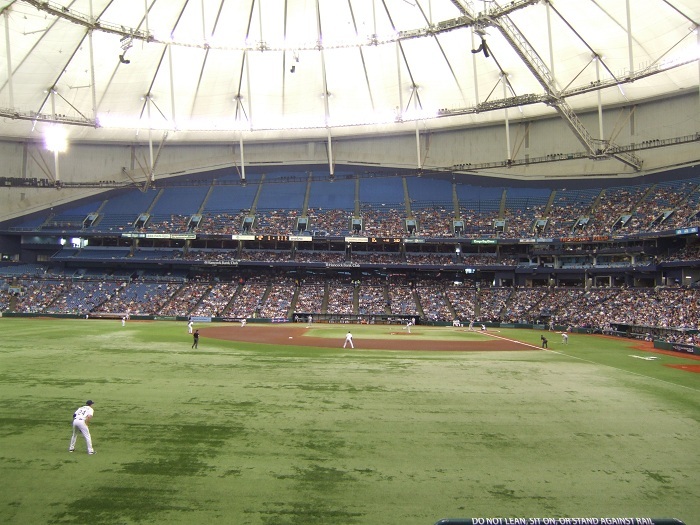 The lower level of seats extend from right center field to homeplate and around to left center field. 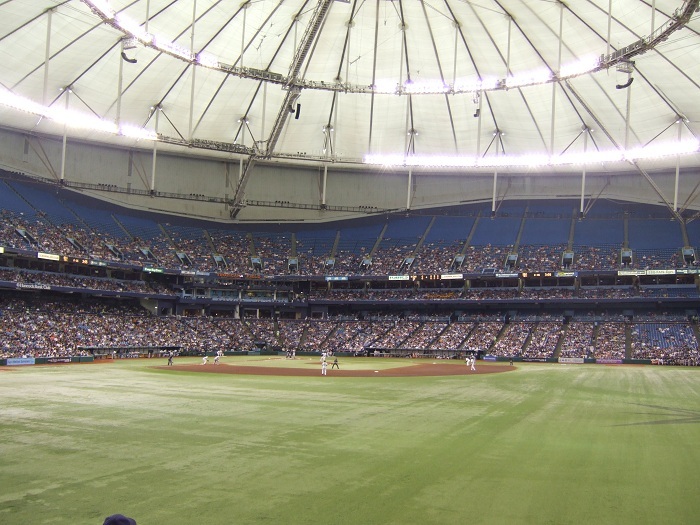 The upper level of seats extend down the base lines. 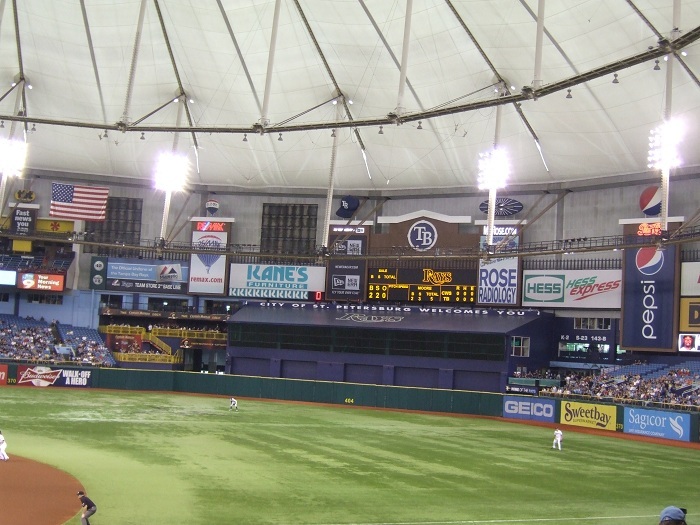 An area of seats above the lower level in left field is known as the Beach, a section with beach decor and tropical foliage. 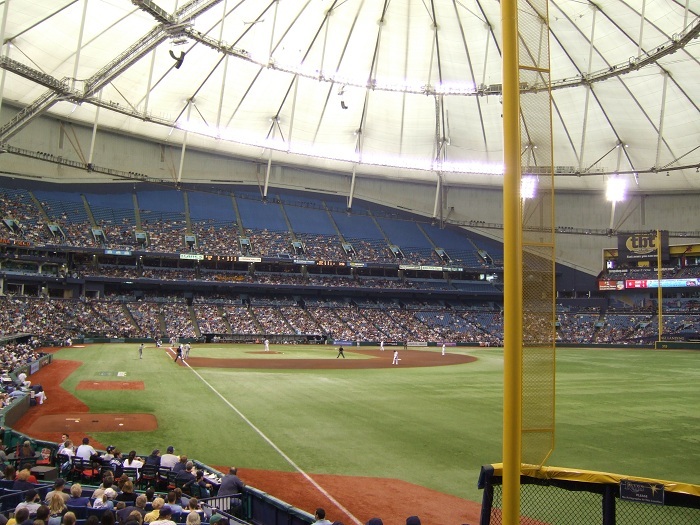 Tropicana Field’s outfield wall has many nooks and crannies that provides interesting plays off the wall. 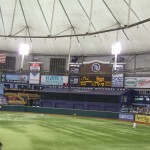 Beyond the centerfield wall is the Batter’s Eye Restaurant. 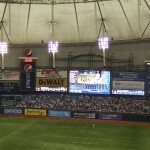 The main scoreboard is located beyond the right centerfield seats. 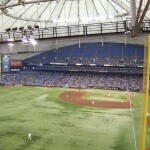 After the 1999 season, the Astroturf was removed and replaced by Field Turf, a plastic grass. 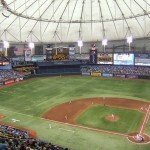 Since 2007, the Rays have been exploring the possibility of building a new ballpark in Tampa or St. Petersburg. 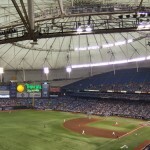 Obstacles blocking potential construction include funding and location issues, however, the Rays are focused on building a new ballpark in the future. 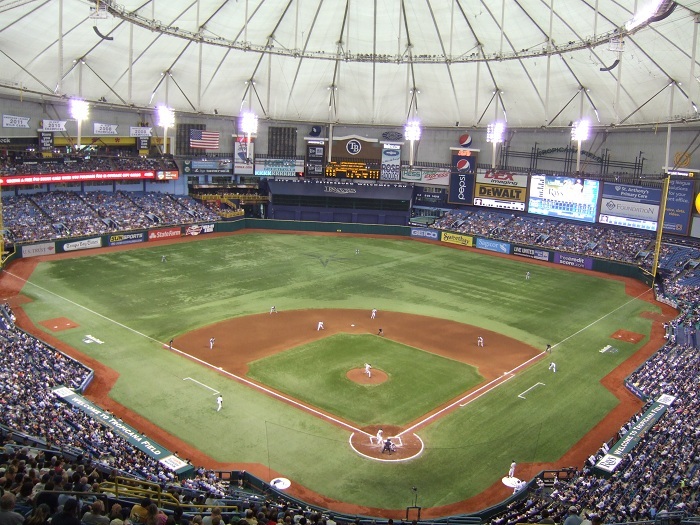 In December 2013 the Rays announced upgrades to Tropicana Field that enhance the fan experience at Rays games. 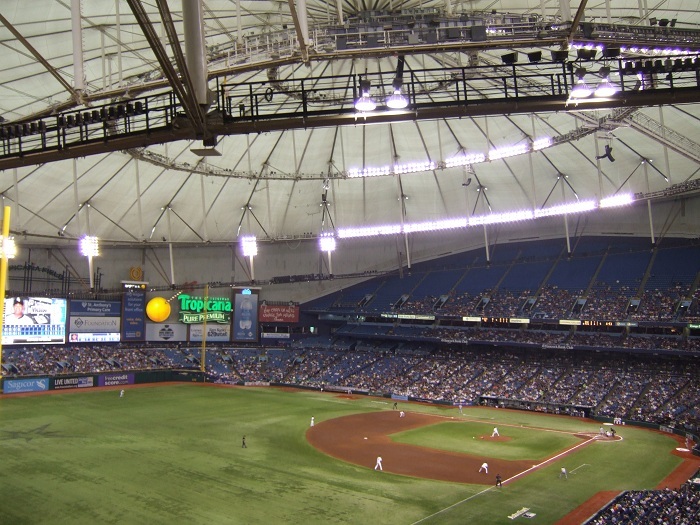 The $750,000 project creates a walkway around the top of lower bowl providing views of the playing field and an open air gathering area in centerfield. 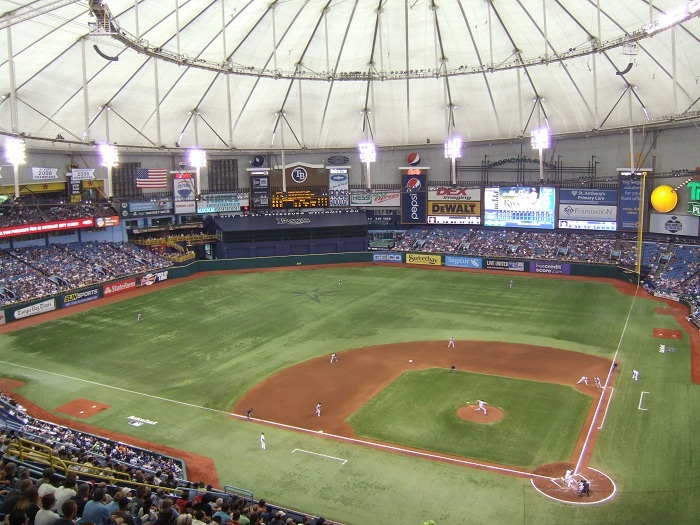 The seating capacity of Tropicana Field was reduced to 31,000 as 3,000 seats will be removed in addition to seats that are also covered in the upper deck. 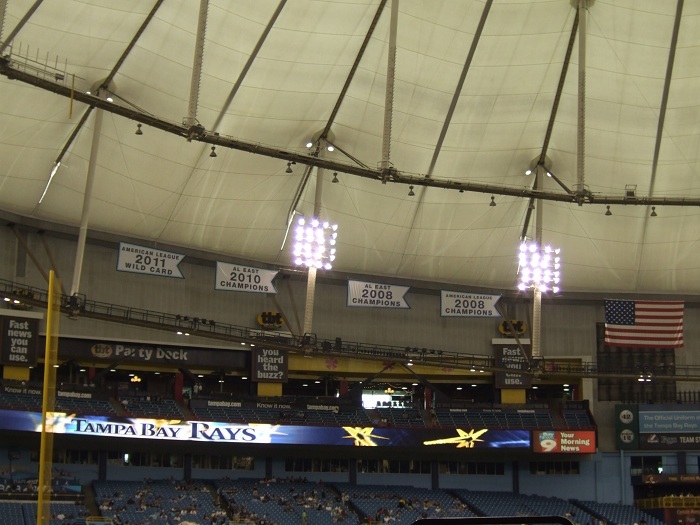 Tarps cover over 10,000 seats and can be removed if necessary increasing the seating capacity to over 42,000. 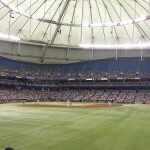 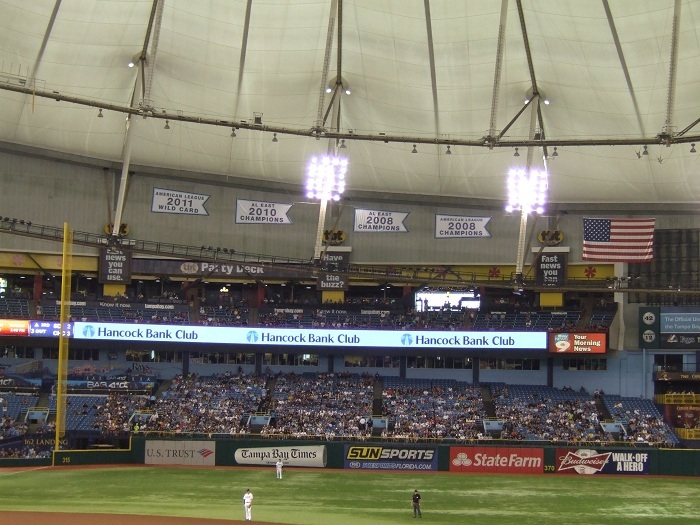 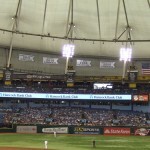 Prior to the 2019 season the Rays closed the upper deck, further reducing the seating capacity to 25,025. 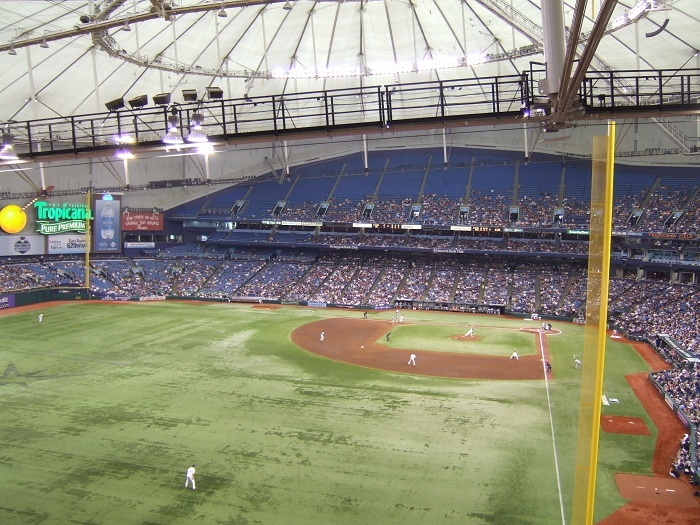 In left-field they created the Left Field Ledge, a social gathering space for fans that includes a bar, ledge tables and seated drink rails. 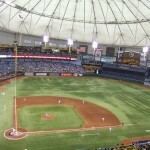 A new playing surface was also installed.